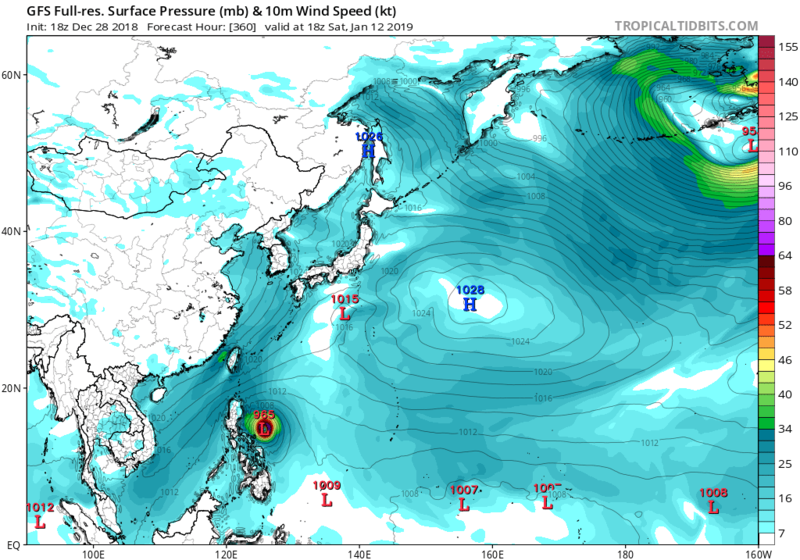 Super long-range GFS is seeing a potential typhoon in January. 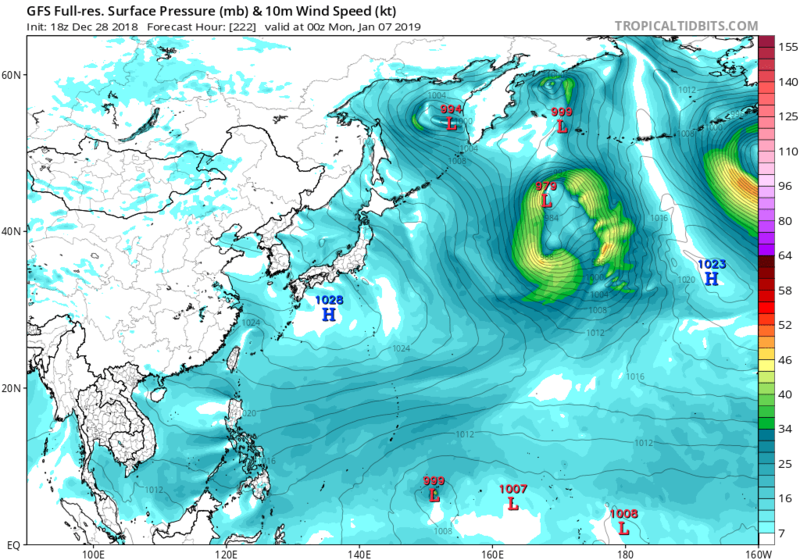 GFS still has it on the latest couple of runs. Albeit weaker. As operationally estimated/assessed by the JTWC, six category 5 supertyphoons(STY) developed over the NW Pacific this 2018. This season saw two powerful and devastating category 5 landfalls. 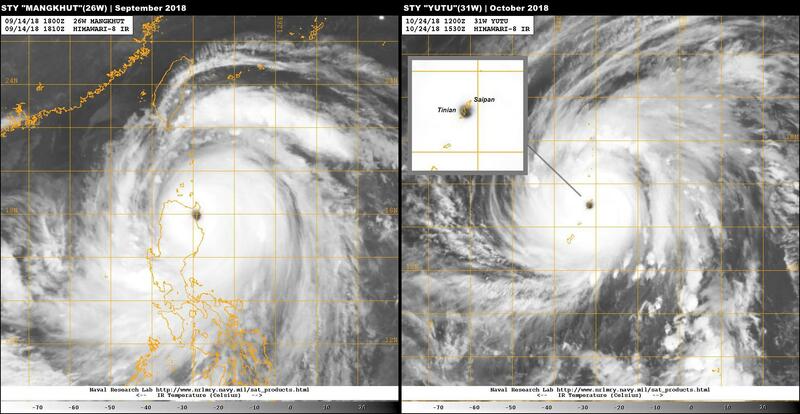 STY Mangkhut(26W) made landfall over Luzon in mid September, and about a month later, STY Yutu(31W) hit the Northern Mariana islands as a 155kt storm. A summary of tracks in 2018. When using the JTWC operational data and comparing it to the NHC and JTWC data going back to 2004 (when wind radii was first included in best track data), the 2018 Pacific Typhoon Season released the most energy of any tropical cyclone season on record. 27.083 PJ of Track Integrated Kinetic Energy (TIKE) was released over the course of the season. However, between the short period of record and the sketchiness of some of the JTWC wind radii, especially before 2016, this may be somewhat of a hollow record. 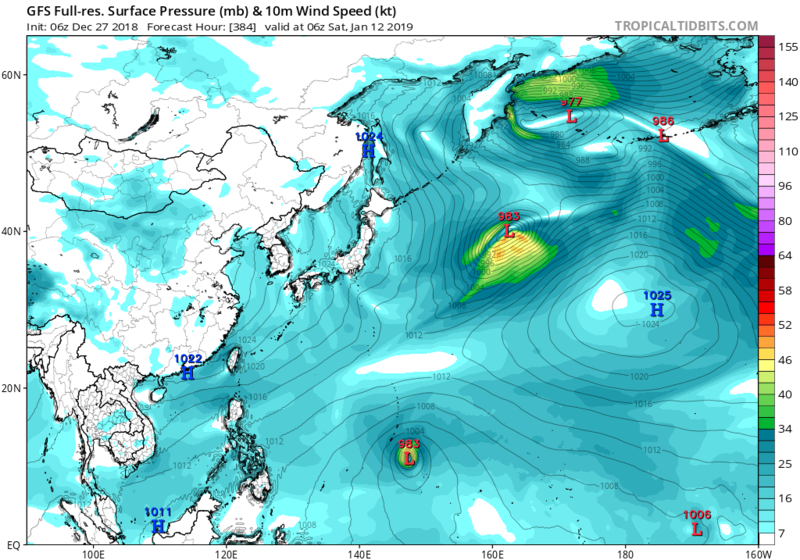 Looks like the WMO retired Mangkhut and Rumbia from the naming list. The strongest storm of the season, Yutu, didn't even get any retirement. It devastated Guam and the NMI. euro6208 wrote: Looks like the WMO retired Mangkhut and Rumbia from the naming list.